DOE Undersecretary Felix William Fuentebella yesterday said the agency is investigating and collating information on the recent supply deficiency caused by the forced outage of power plants, which left consumers without power for two to three hours last Friday. MANILA, Philippines — The Department of Energy (DOE) will elevate to President Duterte its findings on the red alert warnings and widespread rotational blackouts that recently occurred in the Luzon grid. 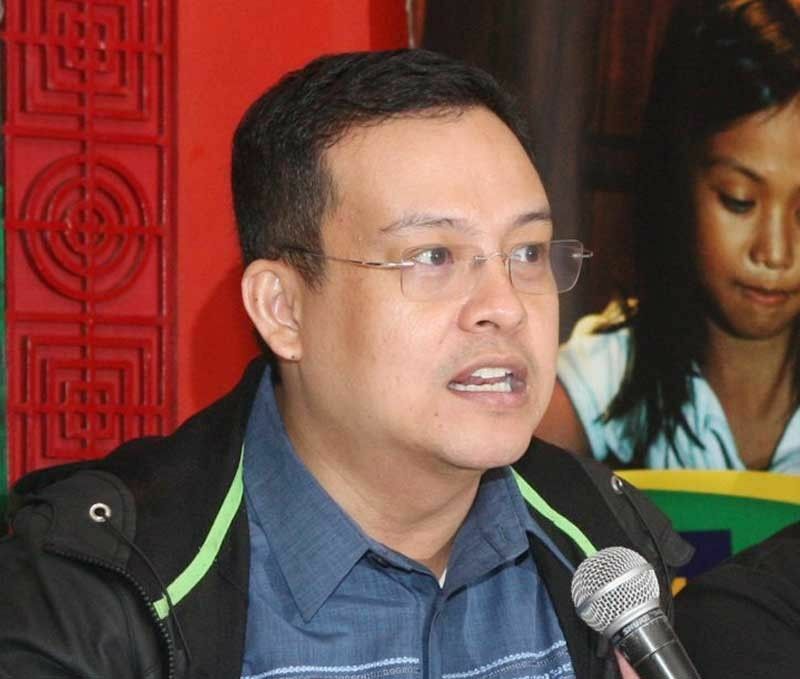 “What we can tell our consumers is all the information that we’ll gather will be submitted to the Energy Regulatory Commission (ERC), Philippine Competition Commission (PCC), Congress and especially to the President,” Fuentebella said. “At the end of the day, we will remain answerable to all these and we will try to leave you with as many updates, as transparent and as timely as we can,” he added. Fuentebella said the agency did not fall short in planning as he pinned the problem on the generation companies, particularly those with plants that bogged down. Since last month, nine power plants went on unplanned outages, including the 135-megawatt Unit 1 of South Luzon Thermal Energy Corp. (March 20), 382-MW Pagbilao 1 of Pagbilao Energy Corp. (March 26), 344-MW Masinloc 2 of Masinloc Power Partners Co. Ltd. (March 29), 420-MW Pagbilao 3 of Pagbilao Energy Corp. (April 2), 20-MW Makban Unit 7 of AP Renewables Inc. (April 3), 150-MW Unit 2 of Southwest Luzon Power Generation Corp. (April 7), 647-MW Sual 1 of Team Energy Corp. (April 9), 70-MW Limay A1 of Panasia Energy Inc. (April 11) and the 150-MW Unit 2 of San Miguel Consolidated Power Corp. (April 11). Some of these power plants are also operating with reduced capacity – 344-MW Unit 2 of Masinloc Power Partners Co. Ltd. at 250 MW; 150-MW Unit 2 of Southwest Luzon Power Generation Corp. at 100 MW; 420-MW Pagbilao 3 of Pagbilao Energy Corp. at 315 MW and the 300-MW Calaca 2 of SEM-Calaca Power Corp. at 200 MW. This month, the Luzon grid was placed on yellow and red alert for six and four days, respectively. Fuentebella said the DOE has yet to see the impact of these tight supply conditions on the power rates but definitely, consumers will see higher rates in the next billing of power distributors. “We’ll see the full impact once we get inputs from the wholesale electricity spot market (WESM) but the trend we’re seeing is that rates will increase,” he said. Yesterday, the National Grid Corp. of the Philippines (NGCP) placed the Luzon grid on yellow alert from 9 a.m. to 1 p.m., 4 p.m. to 5 p.m., and 6 p.m. to 8 p.m. and a red alert was raised from 1 p.m. to 4 p.m. with 1,478 MW shaved off from the grid. The grid operator said available capacity was only at 10,669 MW while peak demand was estimated to reach 10,619 MW. But with the lower power demand due to the cloudy weather, the red alert was lifted at 3:10 p.m. yesterday, with available capacity of 10,750 MW and peak demand reached only 10,204 MW. Manila Electric Co. (Meralco) spokesman and public information office head Joe Zaldarriaga said there were no rotational blackouts implemented within the franchise due to lower actual demand. For the rest of the week, the DOE said the supply situation is expected to improve when more plants come back online on Wednesday and demand subsides due to the observation of Holy Week. This is because the 647-MW Sual coal power plant, 420-MW Pagbilao 3 and 150-MW Unit 2 of San Miguel Consolidated Power Corp. were expected to restart on Wednesday after undergoing forced outage. Focusing on consumer interest, the DOE said it is continuing to lay down policies to protect the public. “To the consumers, we feel the problem. It’s bothering to us, the DOE, but we are also working doubly hard to deliver the power requirements. We are forming consumer protection measures, not just energy efficiency measures,” Fuentebella said. “We are also working on a policy that will not pass on higher rates due to power outages to consumers if they are not itemized under the competitive selection process (CSP). We are laying down the ancillary service policy and the price determination methodology included in the causer’s pay mechanism,” he said. In a separate statement, the Petroleum Association of the Philippines (PAP) said the recent rotating blackouts affecting parts of Luzon and Metro Manila due to thin power reserves highlighted the urgent need for the country to ensure energy security or self-sufficiency of power supply. “The recent spate of brownouts underscores the need for our country to focus on energy security or our self-sufficiency in energy by being able to draw from our own power stores instead of relying on global markets,” PAP chairman Rufino Bomasang said. Bomasang cited the urgency to develop indigenous energy resources, similar to the Malampaya project, to meet the growing demands of the country. “We have existing indigenous energy at our disposal, such as what we draw from the Malampaya gas field in northwest Palawan. Since natural gas is an indigenous energy, it also helps in energy security,” he said. The Malampaya project, the first undertaking of its kind in the country, employs deep-water technology to draw natural gas from beneath Philippine waters. The indigenous gas fuels five natural gas-fired power stations with a total generating capacity of 3,200 megawatts to provide power to Luzon. Supply from Malampaya remains stable, the PAP official said, with production even going above its normal average due to the increased demand resulting from the outage of other power generators. Bomasang also echoed the call made by Sen. Sherwin Gatchalian to extend the Malampaya joint venture license beyond 2024 for the continued safe, reliable flow of natural gas to Luzon for at least six more years. “If this is the case, we must do everything we can to ensure that the Malampaya project is extended and the gas finds are developed by the same experts who successfully ran the Malampaya project,” he said. Meanwhile, Otso Diretso senatorial bet Samira Gutoc said Mindanao progress could usher in lower power and energy rates in the country. Gutoc said Mindanao has 256 watersheds, two of which – Agusan and Pulangi – are among the largest in the country.